Joint pain and body aches are a part of life for many people. But it doesn’t have to be that way. Whether you’re living with arthritis and ageing joints, overuse or sports injuries, sprains, strains or fractures, relief is now available right here in Darwin. Nautilus Orthopaedics is a locally-owned clinic bringing world-class surgeons and restoring quality of life to the people of the Northern Territory. Each of the highly-skilled surgeons has sub-speciality training, providing targeted and effective relief of any combination of injuries to the knee, elbow, shoulder, hip, foot, ankle, hand and wrist, as well as bone fractures and tendon damage. Conveniently located at the Darwin Private Hospital, Nautilus negates the need to travel interstate for orthopaedic operations, saving time, money and the risks associated with flying after surgery. Non-surgical treatments are also available, including platelet rich plasma injections for tendon and muscle injuries. 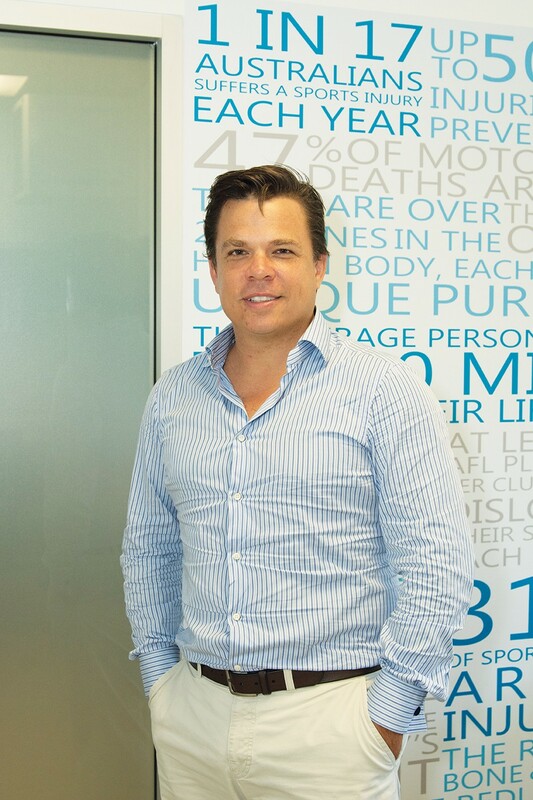 The founder and director of Nautilus Orthopaedics is Dr Simon Elix, an orthopaedic sports surgeon born and bred in Darwin. He completed his early training and internship in the Northern Territory before fellowship training in Canada, gaining valuable skills in the surgical management of complex joint injuries, particularly of the knee and shoulder. Dr Elix is joined by three other surgeons at Nautilus Orthopaedics in Darwin, including Dr Robert Baird, specialising in trauma and revision joint replacement; Dr Robert Fassina, lower limb, sports and joint preservation and restoration; and Dr Kush Shreshtha, primary and revision arthroplasty. With Dr Shreshtha working in Darwin full time, the other doctors are stationed in Darwin for a full week every month, with major surgeries scheduled at the beginning of the week so they can actively monitor patients’ progress and recovery. Not only do they perform life-changing joint replacements, but also offer the removal and replacement of previous implants. ← WHAT IS HAMMAM EXPERIENCE LIKE?